But my most memorable Mother's Day was 1999 - it wasn't my first Mother's Day it was actually my 3rd! 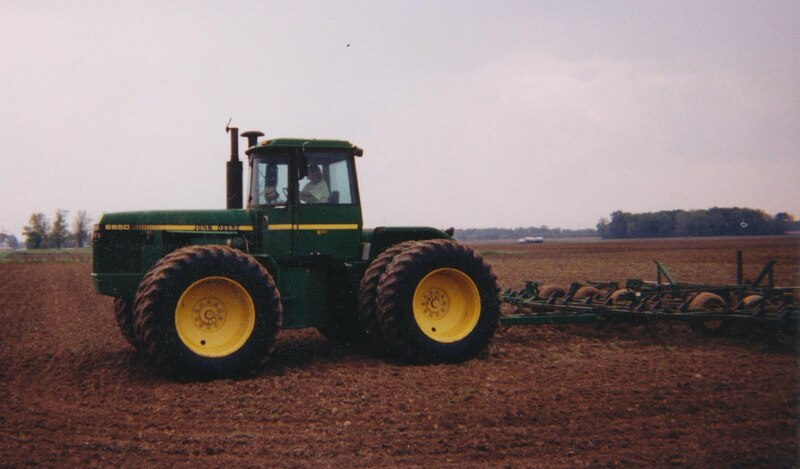 That year we were about to finish up corn planting, we had one farm left right around 100 acres and Chris was determined to get it done! He had asked me earlier in the week what I wanted for Mother's Day and I had told him what I really wanted more than anything was for him to take more pictures of me and Casey! So Sunday morning he said to pack a lunch for all 3 of us and he handed me my gift - a couple of frames and a disposable camera! 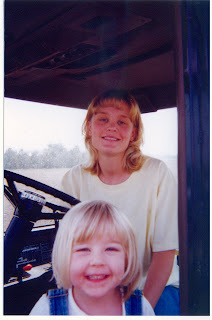 We all 3 loaded up in the truck and headed to the field to plant - just the 3 of us working together - I ran the finisher all day and he planted corn - Casey took turns riding with us, when she got bored in one tractor we switched her to the other tractor and every switch we made he would whip out the disposable camera and snap a picture. He took more pics of me that day than the first 7 years we were married combined. We had a ball and we got corn done! Casey is standing in the door window just grinning from ear to ear! She was so good that day for having to spend all day in a tractor! Did I mention she was 3 years old, full of energy, questions and liked to sing the same song repeatedly? 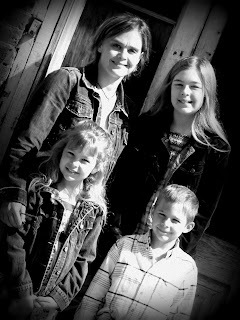 Did I mention I was 7 months pregnant that day? Did I mention I wouldn't trade this Mother's Day for diamonds, ruby's or pearls - not even for a million and one pictures - it truly is one of my all time favorite memories. Maybe because I like to hold it over Chris' head that I was 7 mo. pregnant and working with a 3 year old it is tangible evidence that ours is a way of life not just a job and together we can accomplish anything! What a great memory!! Hope you have an amazing Mother's Day this year!! What a great story! Puts a whole new twist to that song about bringing home the bacon and frying it up in the pan! 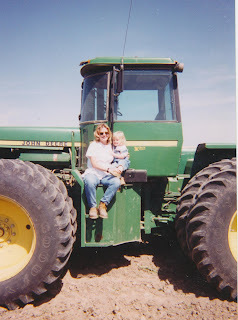 Farm Moms ROCK! I love this story! Happy Mother's Day, to you! Wow. That really does drive home that farming is a way of life. Funny what memories stick with us, huh? I really hope you guys can get in the field SOON! I dislike hearing people still struggling with wet fields...so frustrating!